The long awaited Chick-Fil-A expansion is underway, after the a large demand from the Georgia State student population. 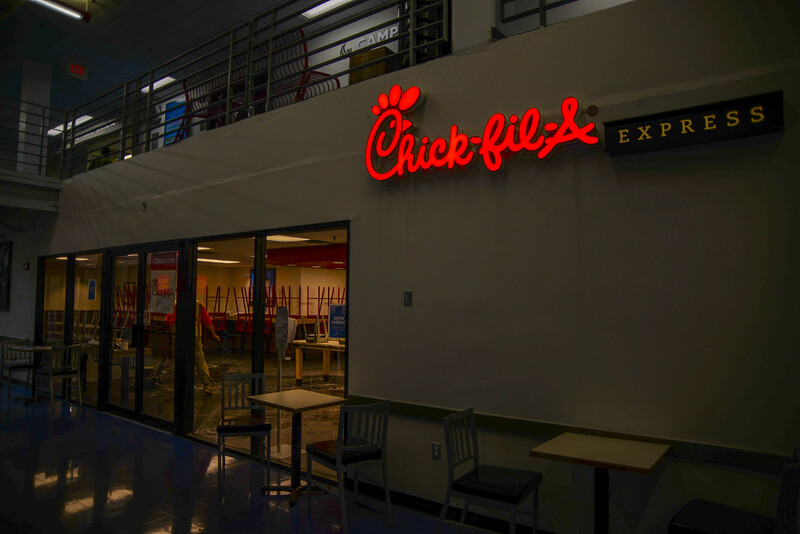 According to the Executive Director of Dining and Stainability Lenore Musick, the main concern for students was the lack of space that Chick-Fil-A Express provided. The new Chick-fil-A, which will be finished Sept. 18, offers a larger variety of food items as compared to the express, because it will act as a standard Chick-fil-A would. The new location was in planning for years, but Panther Dining was waiting for the contract with the previous vender to end. Georgia State, like University of Georgia and Georgia Southern, has a contract with Chick-fil-A, which is why it is the only outside company available on campus. One of the main reason this partnership is supported is because majority of the profits that are made from the Chick-fil-A are funneled back into the university. “One of the reasons we chose Chick-fil-A is not only because they have roots in Georgia, but they serve a very unique product and most of the money from GSU sales stays with the university – which is extremely important to us,” Musick said. The Chick-fil-A Express will be turned into Trattoria 1913, a pasta and pizza station, once the new Chick-fil-A is up and running. The expected date for Trattoria is mid-October. While the new Chick-fil-A is under construction, the old one is closed to the public. Along with this expansion, Panther Dining has a few more projects up their sleeves. In Panther’s Club located in Student Center West, the old Wild Wingman Joes was replaced by the Southern Market. In the Courtyard located in Student Center, East Freshens was replaced by The Roasted Beanery and Panther Passports replaced Burrito Bowl. Panther Dining also grows it’s own greens. “Along with our new insourced retail locations, we’re continuing to utilize our hydroponic farm to produce a variety of leafy greens (lettuce, wasabi arugula – just to name two), which are then served in our dining halls and retail locations,” Musick said. It was inevitable to expand the Chick-fil-A with the growing population at Georgia State, but Panther Dining is not slowing it’s strides.